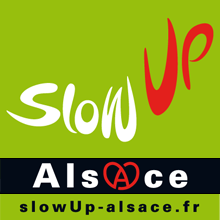 Congrats to the 40 000 participants of this 5th edition of slowUp Alsace ! See you all on Sunday June 3rd 2018. 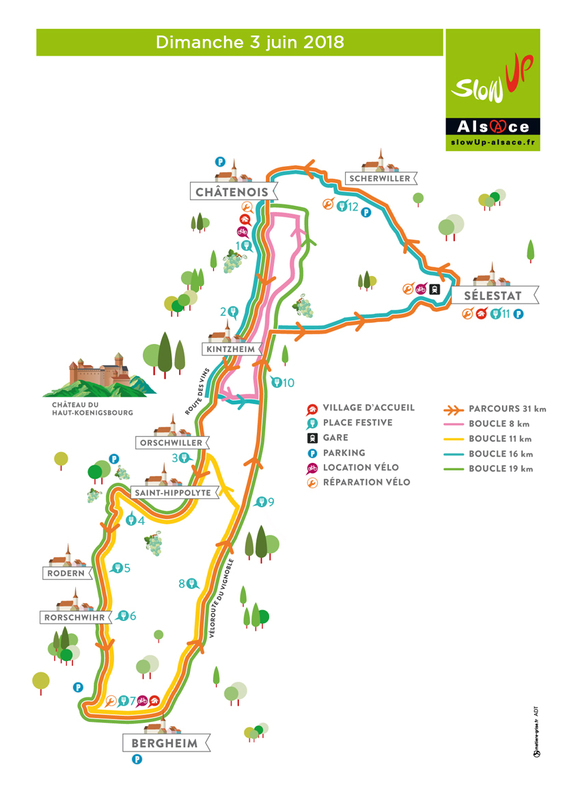 The circuit is between Sélestat, Châtenois and Bergheim, on the Wine Road and the Bike Road of this wine-growing area. It can be done on foot, by bicycle or on roller-blades, respecting all traffic directions. At the foot of the Haut-Koenigsbourg, a circuit of 31 km (with various loops of 8, 11, 19 and 20 km) closed off to all motor traffic going in the same direction. A day of being totally outdoors from 10am to 6pm. Free access with no registration necessary.